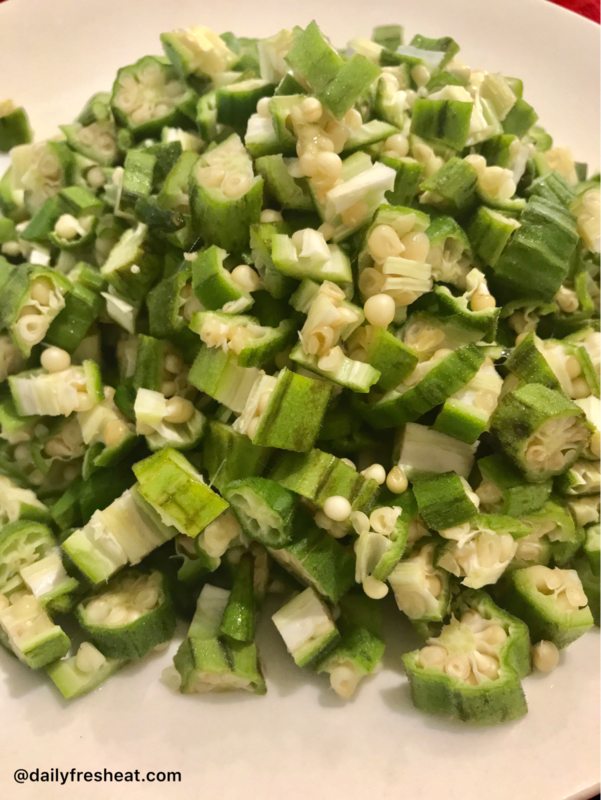 How many of you love Okra soup the way I do? 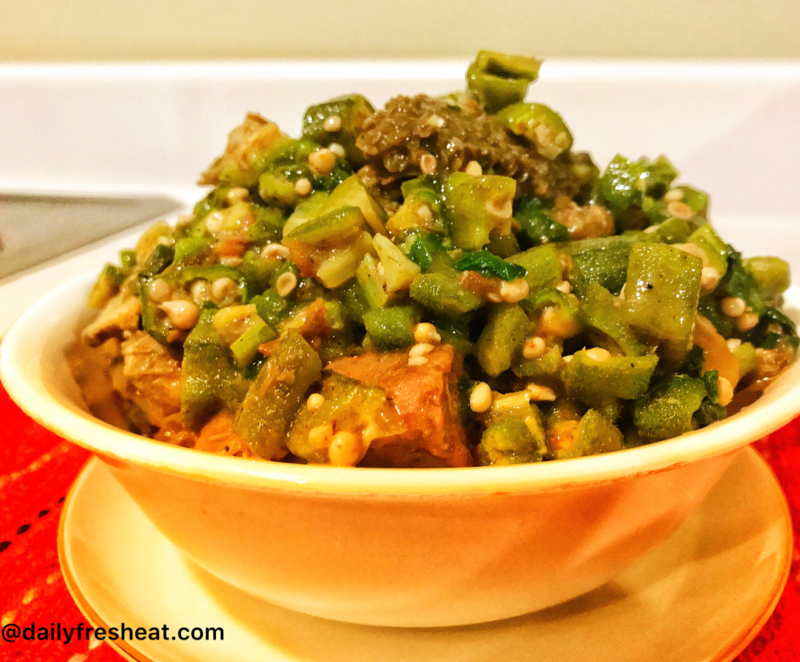 Okra is one of my favorite soups, I like mine very spicy. It can be consumed with or without staples, breakfast, lunch or dinner. You have the choice to add or take away any of the minor ingredients. If you are eliminating palm-oil from your diet or you don’t like palm-oil, then this is for you. 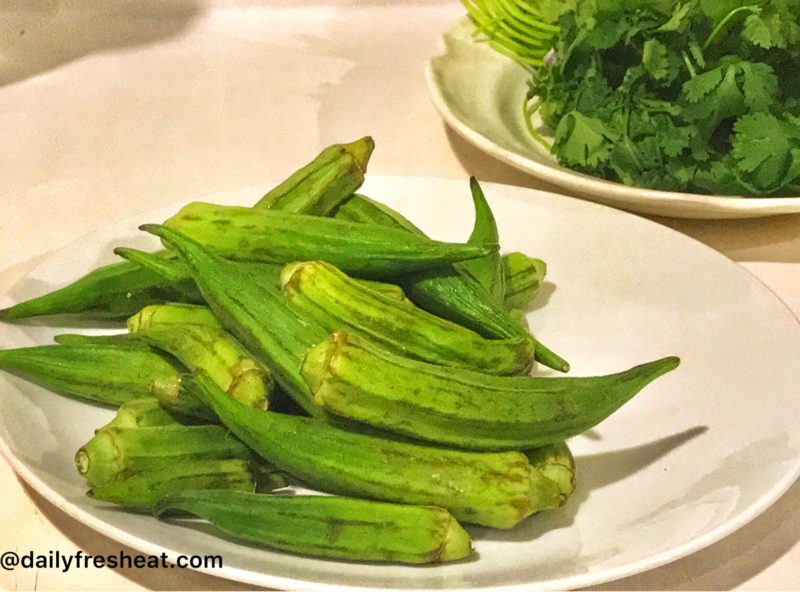 Raw okra is said to contain 90% water, 2% protein, and 7% carbohydrates. 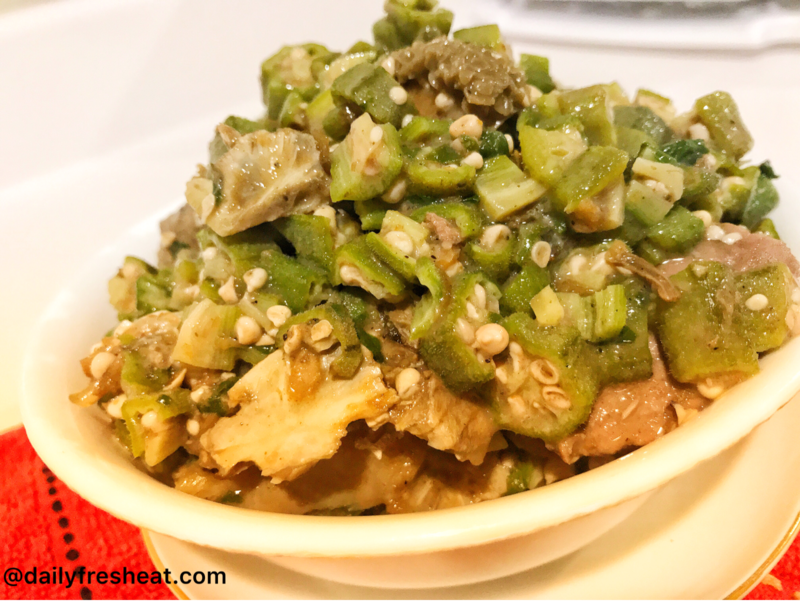 Okra is highly nourishing, it contains potassium, vitamin B, vitamin K, vitamin C, folic acid, and calcium. It’s low in calories and good for you if you are looking at shedding some weight and keeping up with the fitfam. It is high in dietary fiber, which Improves Digestion. It can use to manage blood sugar. It improves vision, boosts skin care, protects infant health, prevents certain cancers, and strengthen bones. It also improves cardiovascular health, lowers total cholesterol levels, aids the immune system, and protects heart health. ➢ Soak the stockfish and dry fish separately in hot water for about 10minutes or more. ➢ Wash the beef tripe, place in a pot and boil. ➢ Blend the pepper and set aside. ➢ Wash the spinach leaves and cut into tiny slices. If its frozen spinach, defrost and cut into pieces. ➢ Add the beef, the stockfish and season with stock cubes, salt and onions. Note: I like cooking the stockfish tender, so I add it with the beef. Another option is to bring it out once it’s done, then add back when adding the spinach to avoid it overcooking, also to get the bites why eating. Likewise, be careful when adding water, you will need the soup to be thick. ➢ Now add the dry fish, the crayfish, the ground Uziza seed, the pepper, the ground Okpeye and bring to boil for 7mins. 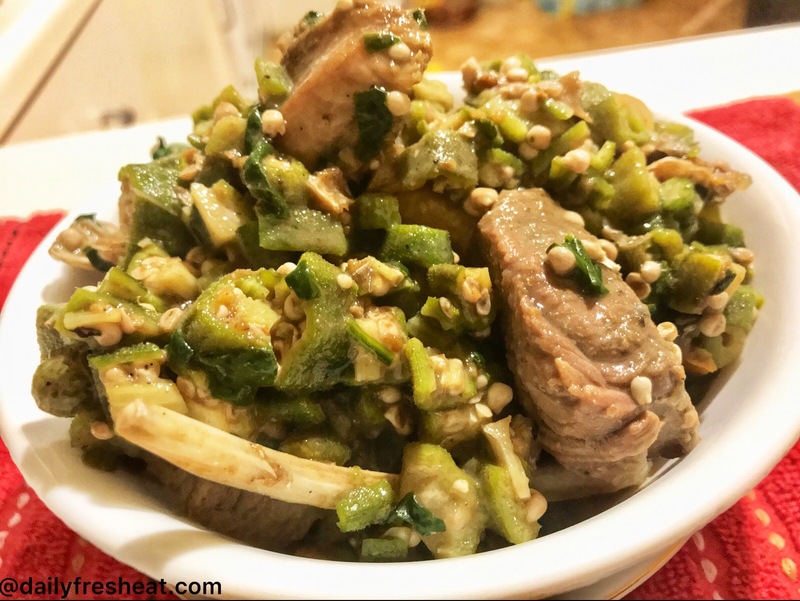 ➢ By this time, the aroma is everywhere, add the Okra and stir well. ➢ Add the Spinach immediately and stir, add some chopped onion (Optional), You can also add back the stockfish now if you brought it out. ➢ Adjust the taste if required. ➢ Cover the cooking pot and leave to simmer. ➢ Turn off the heat and it’s ready to be served.